Directed by Jaume Collet-Serra. Produced by Roy Lee, Michael Tadross, and Brooklyn Weaver. Written by Brad Ingelsby. Release date: March 13, 2015. In 20 years, nobody is going to be able to remember if Run All Night was another entry in the Taken franchise or a standalone feature. The recent career of Liam Neeson has created so many middling action-thrillers that they've all begun to blend together. Whether or not he's Bryan Mills, the feeling remains that he's playing the same character. Even the back story he's given in this film - that of a washed-up ex-mafia member who's estranged from his only son - doesn't serve to change this perception. He is "Action Neeson" - not Jimmy Conlon, as he's called in this film - someone who can overpower anyone in a fist fight and best anyone in a shootout. 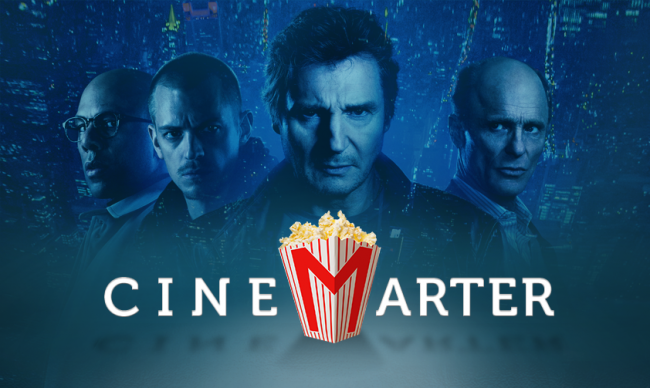 Interestingly, three of these Action Neeson movies have been directed by Jaume Collet-Serra, although the only one that's really any good is Unknown. Collet-Serra was also behind Non-Stop, which put Action Neeson on a plane, and Run All Night, which puts him in New York City. This time around, his son, Michael (RoboCop's Joel Kinnaman), witnesses a murder committed by Danny Maguire (Boyd Holbrook), the son of former mafia boss Shawn (Ed Harris). Shawn and Jimmy used to work together and maintain friendly relations - that is, until Jimmy kills Danny, after Danny tries to cover up the crime by trying to kill Mike. Family before friends, I guess. Shawn sends his entire force out to kill both Jimmy and Mike, so they have to try to survive the night by running and shooting their way through various faceless henchmen. Mike has a wife and two children, with another on the way, so you know it's important that he makes it out alive. It takes almost an hour to get to this point in the film. The earlier segments have to put everyone in their appropriate places, which leads to a lot of the plot feeling a little too convenient. Everyone is in the right place at the proper time, and all of the characters know each other, making it feel too manufactured to be anything but contrived. It's not a good thing if you're noticing that while watching the film. It's likely that wouldn't have been much of a problem if the individual scenes were thrilling, but save for one game of cat-and-mouse in a train yard near the end, Run All Night is too generic to be suspenseful. Protracted chase scenes and shootouts populate the film's second half. The father-son relationship gets shafted when it comes to depth and development. Jimmy doesn't want his son to kill anyone, lest the family man taint his "purity," so Neeson has to do most of the action. 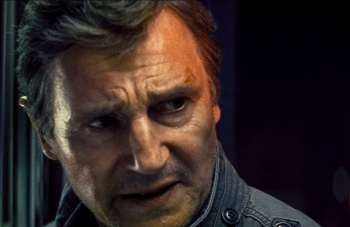 If you're watching Run All Night, you're likely here to see Neeson enter Action Mode anyway, but if Taken 3 earlier in the year proved anything, it's that we should be at the tail end of this period of his career. He can still drive a car and shoot a gun, but whenever any quick movement is involved, the film has to disguise the fact that a stunt double is doing a lot of the work. That the film takes place at night helps this, since it's harder to make out faces in the dark.